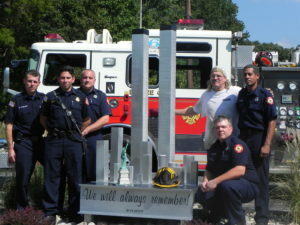 Southern New Jersey Steel dedicated our 9/11 memorial on September 28, 2011 during the SteelDay event. 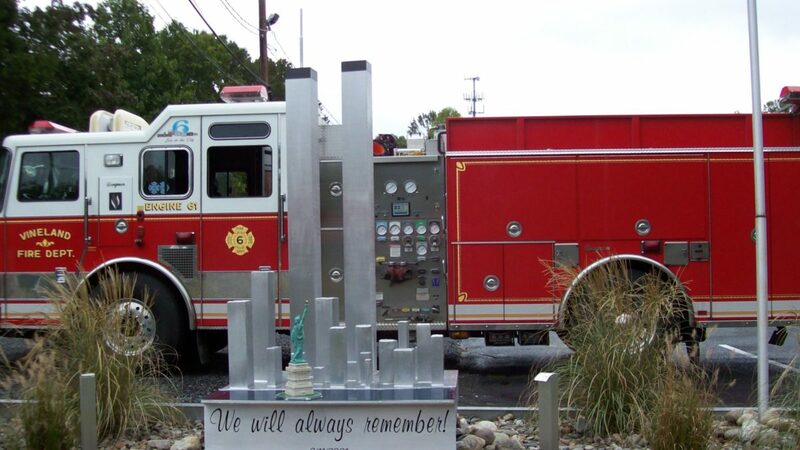 The memorial was fabricated by the employees at our Vineland facility. Our President, Hugh McCaffrey, said that his employees were so touched by the events of September 11, 2001, that they decided to commemorate the 10th Anniversary with a memorial depicting the towers and the surrounding skyline as it once was. Therefore, he, along with Shop Supervisor, Paul Tharp, and Asst. Shop Foreman, Stan Murray, set off to make an accurate portrayal of the NYC skyline. Using pictures and satellite imagery, the memorial, which stands around 7 feet high, is made of aluminum. It weighs 400 pounds and took over 60 hours to build. Below the memorial is the quote, “We Will Always Remember 9-11-2001”, a quote that reflects the collective attitude of the employees of Southern NJ Steel. Freehold Director William Whelan presided over the ceremony. During the dedication of the 9-11 memorial, Vineland Mayor Robert Romano, Vineland Fire Chief Robert Pagnini and Vineland Police Chief Timothy Codispoti placed a fire helmet and police badge at the site, which became permanent fixtures of the memorial. 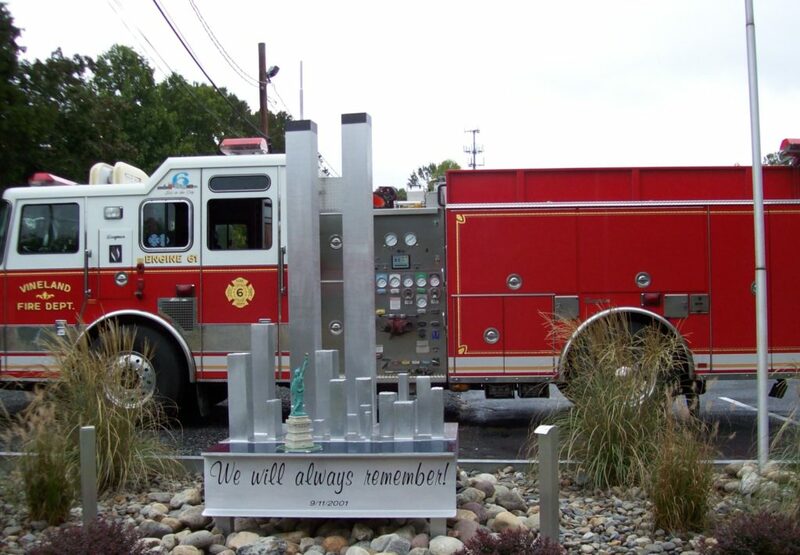 The memorial is located in front of Southern NJ Steel’s property, located at 2591 NE Blvd., Vineland, NJ 08360. The memorial is on permanent display and all are welcome to stop by and pay respect.